I wasn’t going to do this, but it is fun to look back and see that you’ve accomplished more than you thought you had. Because of the way I work, most of these were started in other years, and finished this year. My Noah rug is one of my favorites this year. 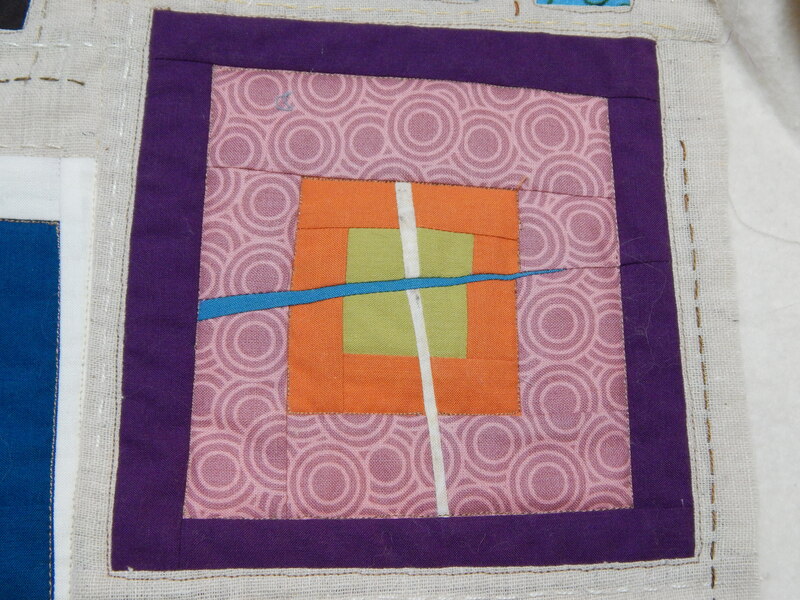 This is a little scrap quilt that I made for a woman’s shelter. I actually made a second one but did not document that one. 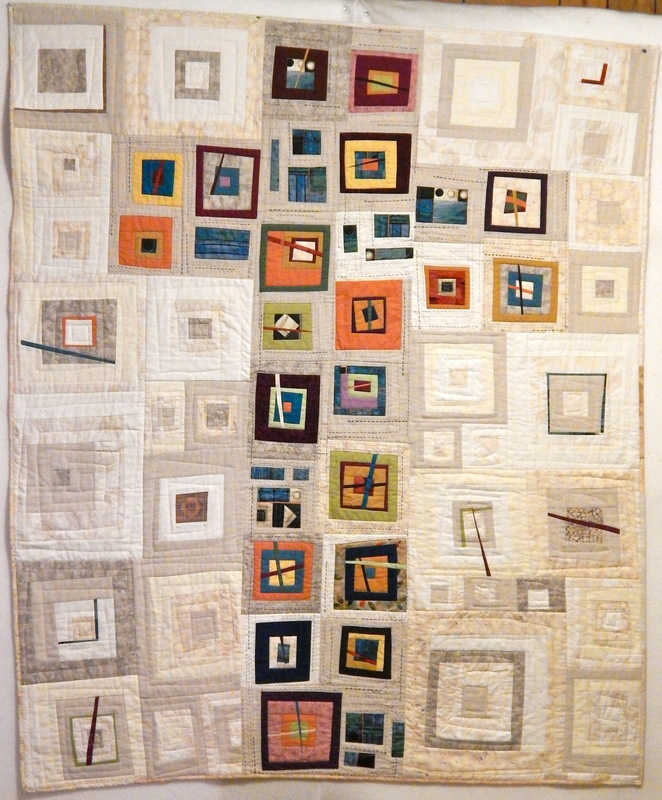 The artful log cabin quilt from the Katie Pasquini Masopust class. 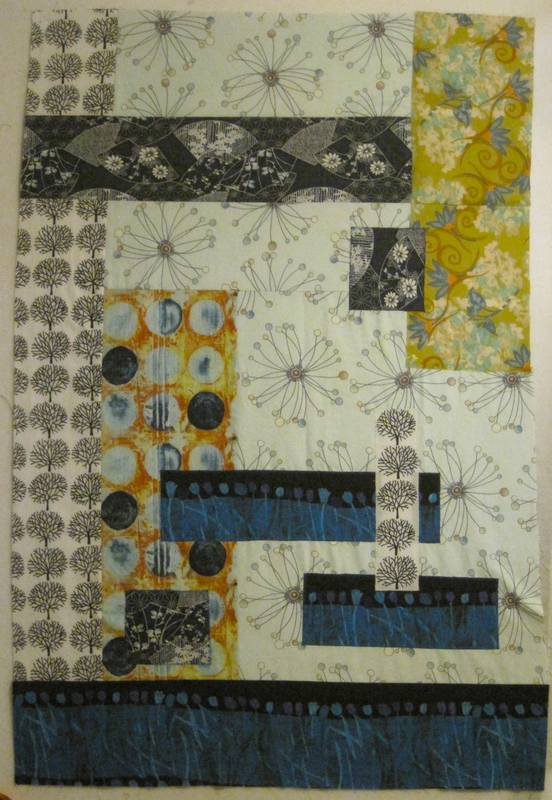 And “My Flower Garden” made from the leftover strips from the above quilt. Another top I made a LONG time ago, and also just quilted this year. Dust if you Must–made from an internet poster that was making the rounds. I changed it just a bit to personalize it. The Light of the World. I enjoyed making this one, and it went fairly quickly. O Death Where is thy Sting? Finished previously, but the cross was beaded this summer. As you might know, many other projects were started this year. I hope that I will be able to finish as many in the coming year. In January I started my new “job” writing a column for The Quilt Life magazine as “the healthy quilter. Between this and my occasional blog for The Quilt Show website, it has provided good accountability for staying on track with my healthy diet. I lost (re-lost) 25 pounds in 2013. In January, I had the amazing experience of having my first gallery showing! It was an exhibit called The Housetop Quilts. I wrote about it here, and you can see a slide show of the quilts here. 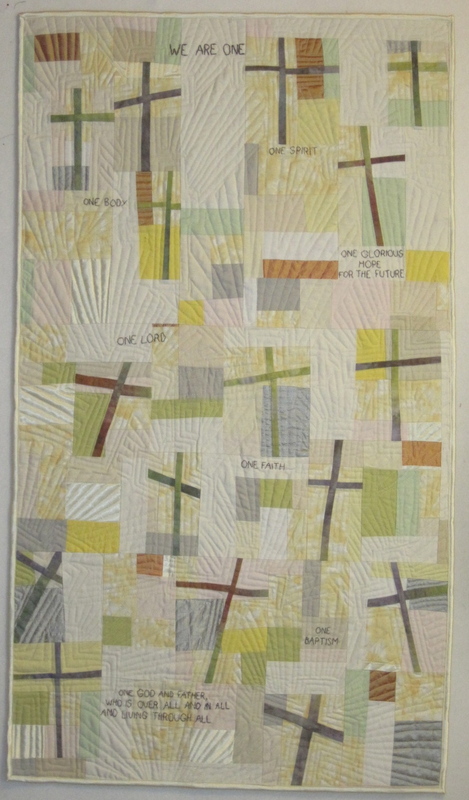 Here is the last quilt I finished for the exhibit. 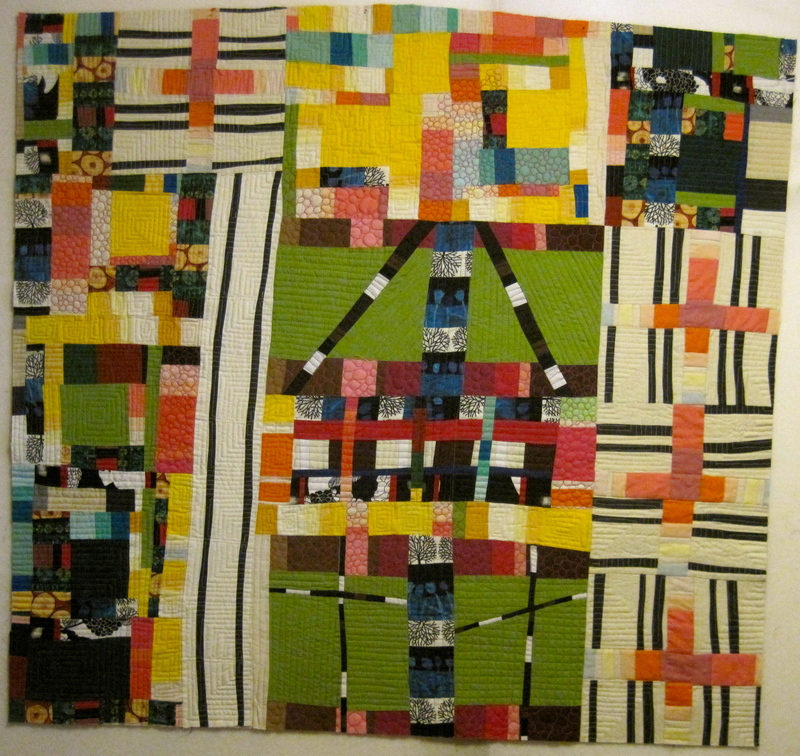 I went to Haiti in January, and two new quilts emerged in February that were directly related to that experience. In March, I made a grand effort, and actually finished and bound this New York Beauties quilt (that I started probably over five years ago.) 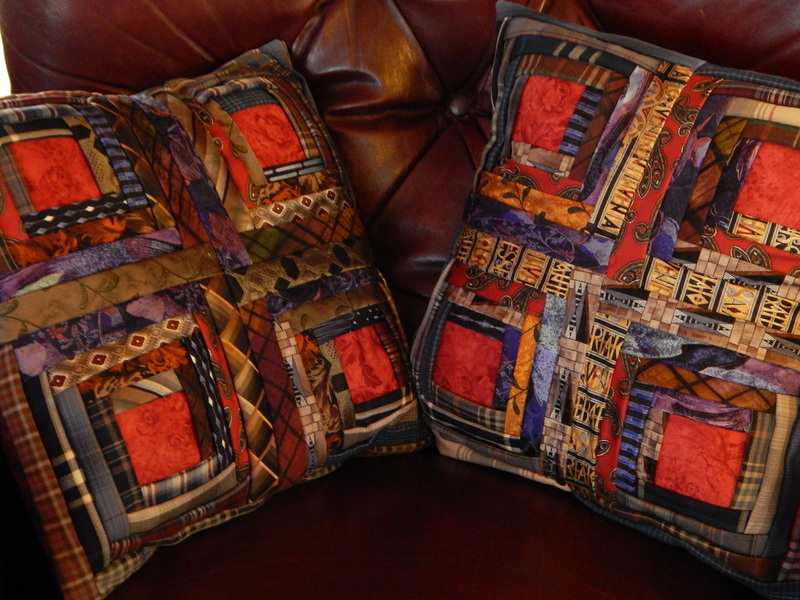 It is extensively quilted, and is pretty heavy because of the fabric I chose for the backing. It has been my winter bed quilt this year, and every night I get a lot of enjoyment out of looking at both the piecing and the quilting that I did on it. May found me in Ohio at Nancy Crow’s Timber Frame Barn workshop. I loved the whole experience. 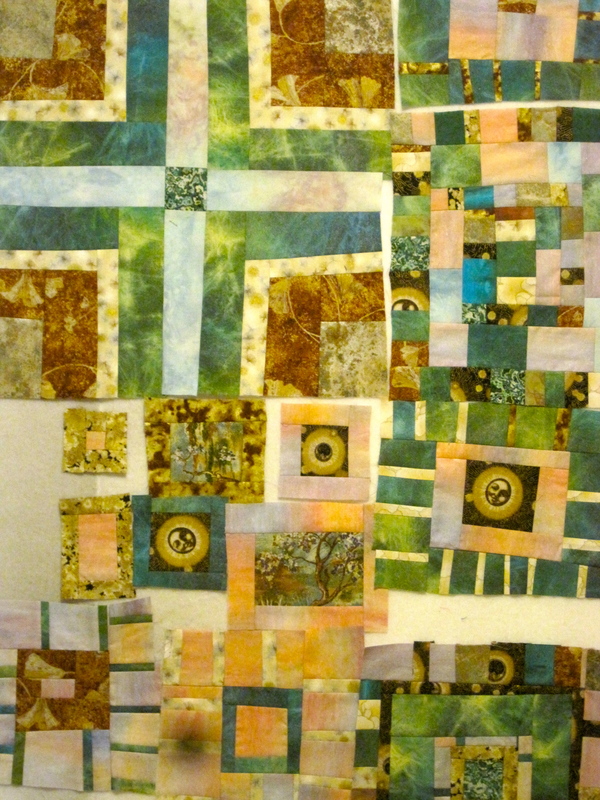 I have not continued with the extensive strip piecing that I learned/did at that workshop. But I have learned that all of my experiences influence the direction of my work, even if I am not doing that particular technique. 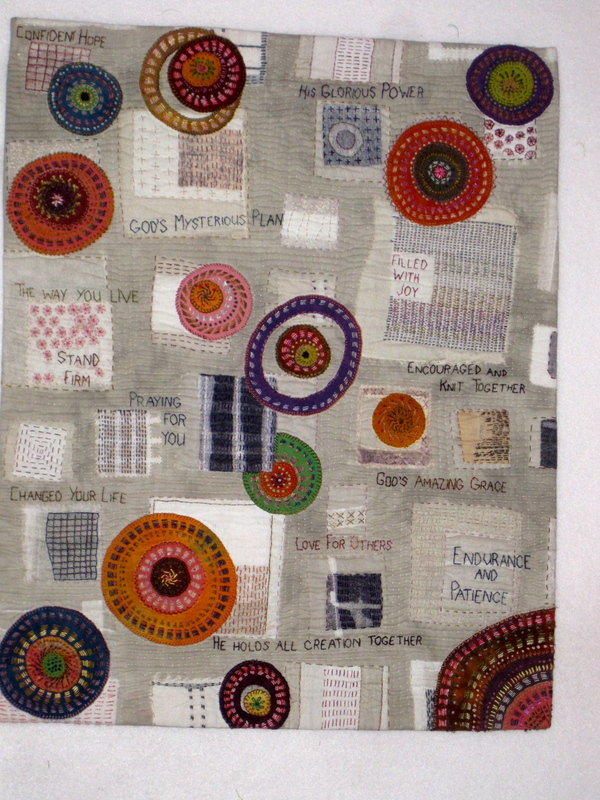 I think I should call this a crazy little quilt. Because that is what it seems to me. 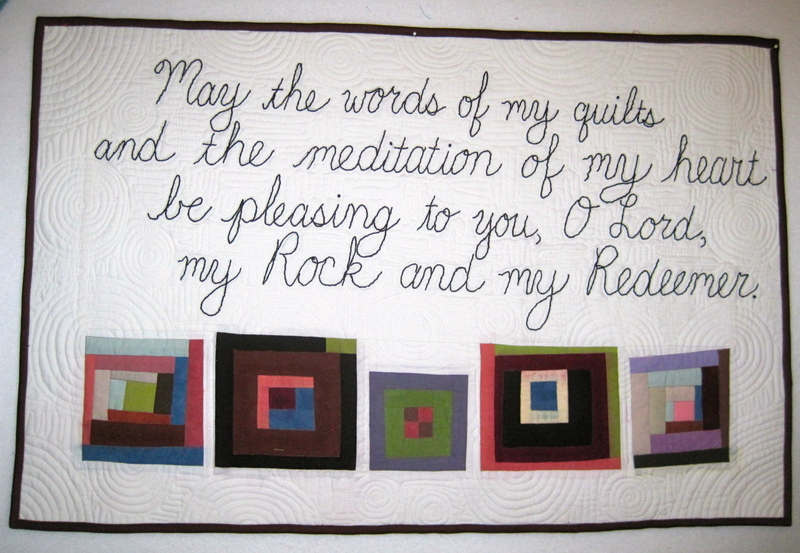 In June I reverted back to the style that I had done in “The Psalms” quilts. I really like this style. Hmmm. I see this is a very unfinished picture of the quilt. Well, it is one that I am currently working on (the drudge part.) 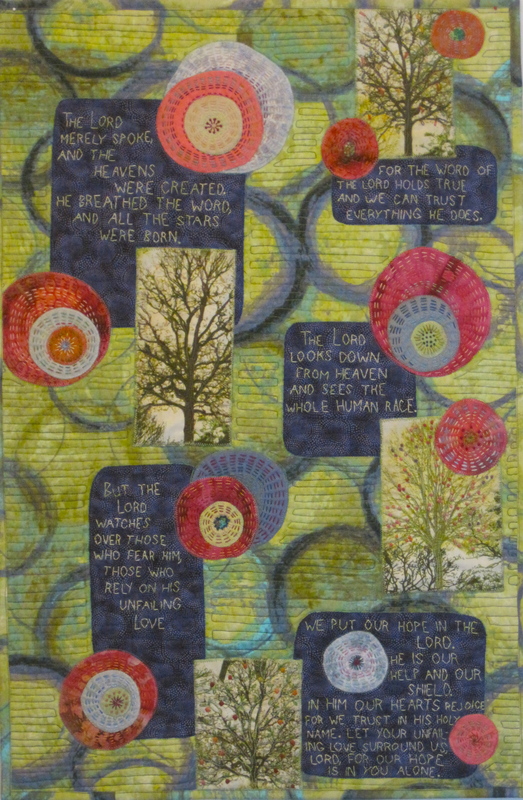 It has a LOT of circles and hand embroidery added to it, and the words of one of my favorite Psalms have been added. And then, for some unknown reason, I decided to hand quilt it. I work on it a little bit every night. Maybe it will be the first quilt finished for the new year! July: This is just one square from a large quilt (that I finished later in the year.) I like this technique very much (inserting skinny strips into a block) and included this to remind myself to try that again. I am also liking the use of prints WITH solids. September was all about finishing this hooked rug and attending the rug convention. Evidently I did not post any pictures in October. I know I was doing something. I did go to the Pacific International Quilt Festival, which is always inspirational and overwhelming. I met some of my SAQA (Studio Art Quilt Associates) compadres for the first time when I volunteered to work in their booth for a few hours. Joining SAQA has really been a great experience for me already. They have so many resources and opportunities, education and assistance. And the people I’ve met have really been so nice and encouraging. 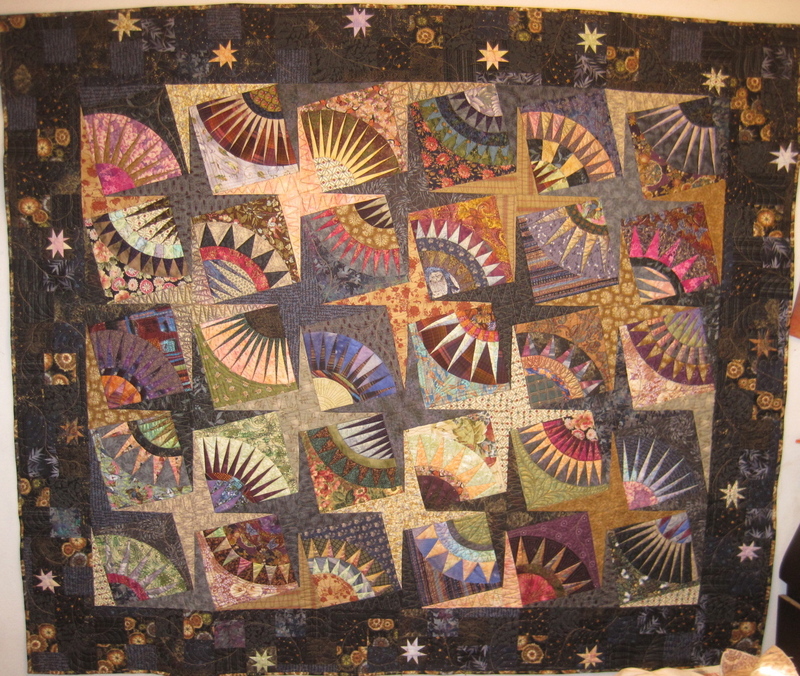 If you are at all interested in art quilting, I encourage you to check them out! November: Here is the “mosaic cross” finished. Only its not finished either. I decided to include the “world” by hand embroidering a semi-sphere at the bottom with green and blue perle cotton thread. Whose great idea was that??? Well, it is mostly done. I will post the entire quilt when I finally finish it. And in December, of course, I was finishing Christmas presents. 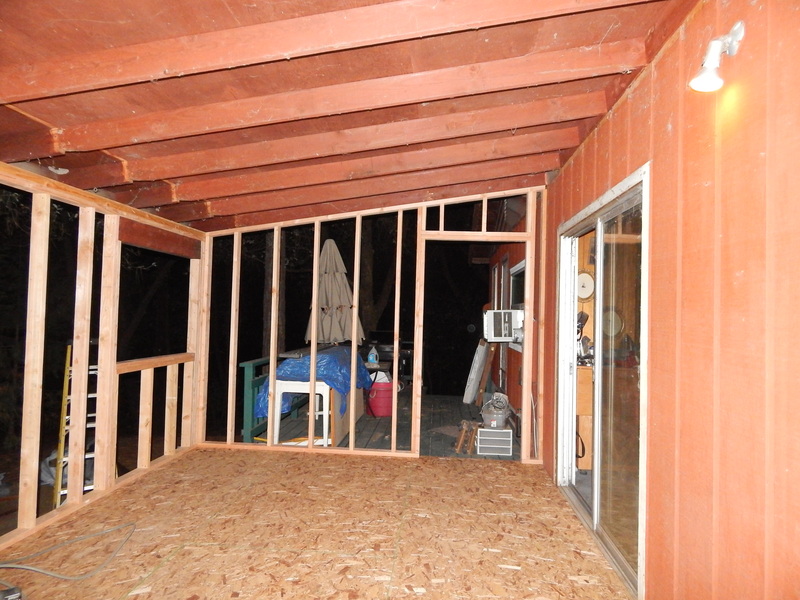 Well I can’t end this post without an update on the new studio. The contractor began working on it just one week before Christmas. I enjoy watching him work. He works very peacefully, looking at his work and figuring out the next step (a lot like us quilters,) and then all of a sudden, it seems, a LOT has been done. Every day I am surprised at the progress. 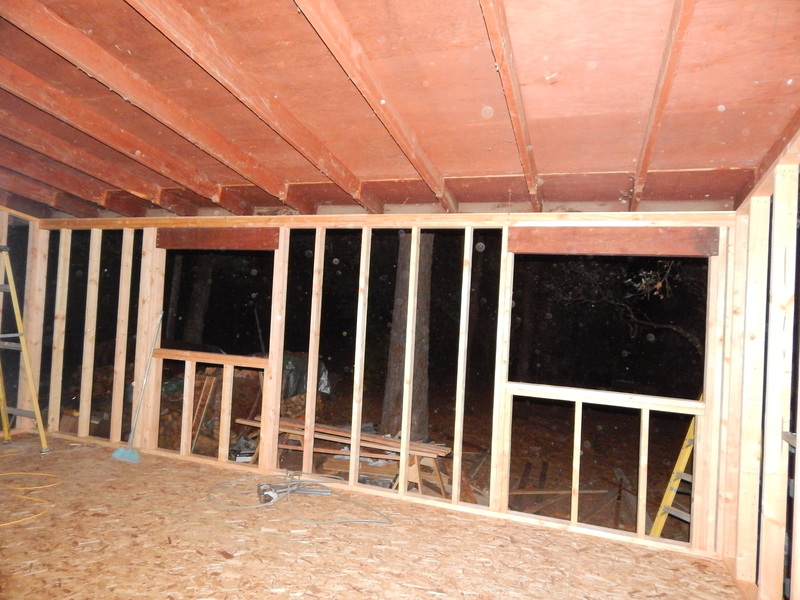 Last night I came home and found the walls up, so you can see the outline of the doors and windows! Oh, and where did I come home from?? From a trip to Costco, where I got cabinets for the studio closet, and 18 storage bins, and 13 project bins. I be getting myself organized in 2014! !